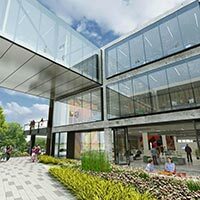 The site includes a 170,000 square foot, five-story office building and a 190,000 square foot, three-story industrial building. This site is a high-image, 12-story Class A office building. 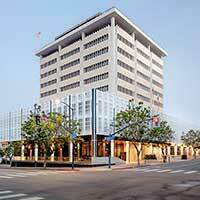 Old Town Plaza is a 2 building office project containing approximately 66,584 rentable square feet. 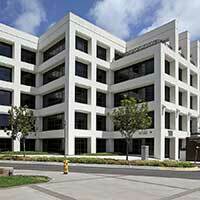 Chesapeake Park Plaza is a four-story Class “A” office building, totaling approximately 92,881 square feet. 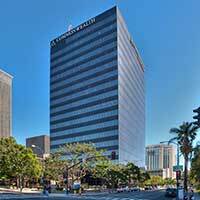 Mr. A’s Building is a 13-story, 168,000-square-foot Bankers Hill property consists primarily of offices with ground-floor retail. It’s tenancy is highlighted by its most prominent longtime tenant the iconic Mister A’s restaurant on its top floor. 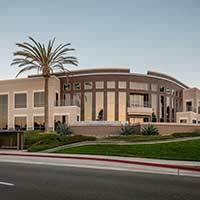 Located in the heart of the UTC submarket, 4180 La Jolla Village Drive is a 5 story, approximately 100,000 square foot Class A office building with walkable amenities and centrally located to San Diego’s main freeway connections. Ocean Terrace is a 4 building campus totaling approximately 180,000 square feet located minutes from the Ocean in Carlsbad Ranch. The campus is in close proximity to amenities including restaurants and hotels and offers convenient access to San Diego’s main freeway I-5. The Cajon Distribution Center consists of two state-of-the-art, cross dock industrial buildings totaling 1.4 million square feet. 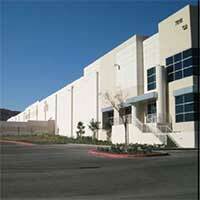 Built in 2008, the properties are located in San Bernardino, CA one of the top industrial markets in the country with excellent access to major transportation routes servicing Southern California and the Western United States.